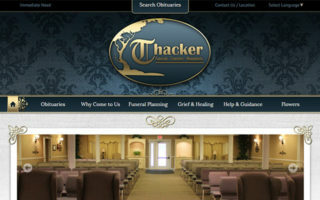 But this is also one of the most detailed APIs to pick up from scratch. The right learning materials can really help you get started and improve your skillset. That’s why I’ve curated the best 10 book covering WebGL and graphics rendering for the web. 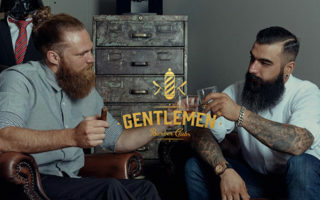 You’ll find a ton of different resources in this post and regardless of your skillset there’s bound to be something here for you. If you’re a complete beginner looking for a quick dive into WebGL I’d recommend WebGL: Up and Running. It’s very affordable, it teaches with practical examples, and it covers both 2D+3D graphics which makes this book a smoother introduction to the API for newcomers. 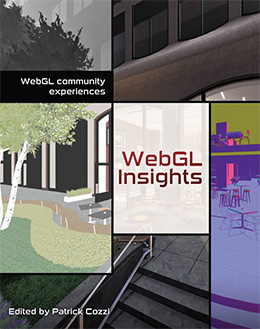 Most developers move into WebGL for the 3D engine when building in-browser games and interactive features. 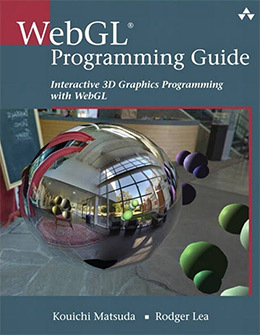 The WebGL Programming Guide focuses on 3D graphics with a detailed look at different techniques along the way. This book is absolutely massive totaling 600 pages and covering all the fundamentals from rendering a basic webpage to creating intricate 3D games in the browser. Each exercise teaches a different topic from the canvas element to the OpenGL ES library for shading. Later exercises teach how to create environments and how to render objects in 3D space. WebGL is a complex yet powerful library once you know how it works. I’ll admit this book can be intimidating to beginners. It covers a lot of ground and it’s also one of the thickest books you can get on the subject. But if you’re serious about game development or 3D web graphics this book is likely the only thing you’ll need to get started. If you’re looking for a solid mix of theory and practice then you’ll dig the lessons in this book. With WebGL: Up and Running you get 230 pages full of basic tutorials teaching you how to build WebGL components, how the API works, and how to write code on top of the Three.js library. You’ll learn the basics of how browsers render 2D and 3D graphics along with how to build a very simple webpage rendered with WebGL. In the final chapter you’ll learn how to build a simple racing game from scratch with HTML5 that builds upon all the other lessons in this book. From a simple webpage to a full game you’ll pick up various skills like rendering, texturing, and custom animation. 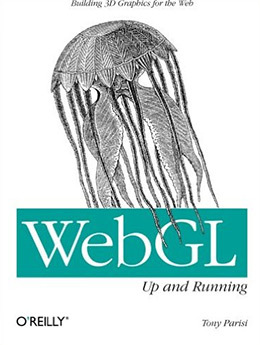 This really is one of the best books for an all-around overview of WebGL. If you’re even remotely interested in this API then you’ll learn a lot by working through WebGL: Up and Running. 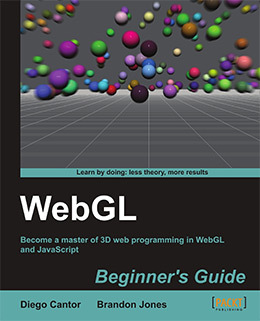 Here’s a more intermediate-level 3D book for WebGL graphics. I like this book’s teaching style and the publisher Wrox is known for quality work. But the writing and exercises really stand on their own merit. With Professional WebGL Programming you’ll learn how to render 3D graphics in the browser using WebGL and some third party libraries. The book spans 300+ pages and each chapter covers a different exercise for 3D graphics on the web. Most of these lessons cover higher-level topics like graphics for gaming, lighting & vertex shaders, texturing, and a typical game pipeline for 3D graphics online. Plus the author shares optimization techniques to make sure your games are fast and easy to edit. I think this book works as a nice follow-up to other intro books. You should already know a little about WebGL before you get this, but you also don’t need to be an expert. 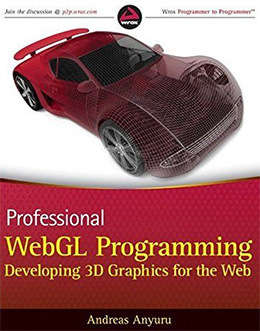 And the lessons in this book take you deep into 3D graphics to the point where you can build some really impressive webgames. Absolute beginners with no idea where to start might enjoy the WebGL Beginner’s Guide. This book teaches all the fundamentals of 3D rendering in 370 pages full of exercises and best practices. You’ll start with rendering and animating basic objects like bouncing balls in 3D space. But this quickly moves into more practical applications for browser games and interactive models used for data visualization. This is a surprisingly detailed book and it almost reads like a 3D animator’s guide. You learn about the basics of 3D physics, lighting, and interactions with objects of differing sizes/densities. 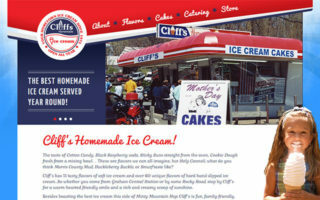 And in later lessons you’ll learn how to receive user input from mouse clicks that affect objects on the page. As a complete beginner’s guide this book takes you far beyond the basics. It mostly covers 3D graphics so this would make an excellent starting point for anyone interested in WebGL game development. Once you’ve nailed the basics and already have some experience with WebGL then you’ll be looking for the next step. Building on WebGL is fun, but optimization and performance should always be considered. That’s why WebGL Insights offers the perfect follow-up routine for anyone hoping to build real quality projects on the WebGL platform. The author Patrick Cozzi has years of experience in computer graphics and programming so he’s a fantastic source of information. You’ll learn common pitfalls and blunders shared from others in the WebGL community. 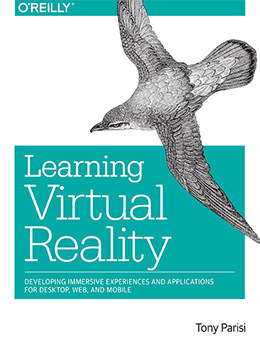 This book also gets into detail about the future of WebGL and similar emerging technologies. Professionals share tips for optimization and common workflows used for WebGL projects. All in all this is a very handy book to have nearby. It won’t teach you the fundamentals of WebGL but it will make you a much wiser and more conscious developer. Here’s another detailed guide for intermediate-level developers who want a push further into 3D web graphics. 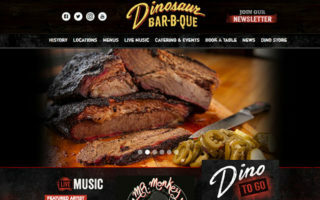 WebGL has so many features and techniques, but to really scale on the web you need proper design patterns. In Programming 3D Applications with HTML5 and WebGL you’ll learn WebGL programming from author Tony Parisi. He shares not only his experience building 3D projects but also workflow tips and problems that he’s faced in the past(along with solutions). Every chapter delves into a unique tutorial explaining how to build custom 3D projects on your own. You’ll learn how to move from 2D to 3D on the web, how to code a 3D product carousel, and how to build a fully immersive web game. Tony’s teaching style often breaks between practical code snippets and best practices with suggestions on how to style your projects. I can’t think of too many other books that hit the mark like this one. It’s practical, easy to read, and you’ll find yourself re-reading this book many times over for the invaluable advice. If you want to abstract the WebGL process then you’ll want a free library like Three.js. This allows developers to create 3D graphics by hooking into the JS library rather than the WebGL API. But learning a new JS library is never easy, especially for a 3D graphics engine. That’s why I recommend Learning Three.js for beginners who have no idea where to start. Many developers prefer Three.js because it’s open source, lightweight, and easy to pick up with a little practice. But if you have no experience it can be intimidating to dive in. 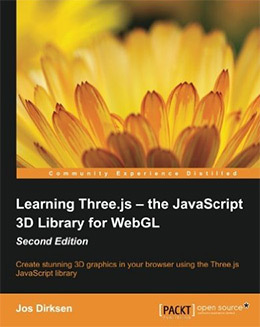 I would absolutely recommend this book to get your feet wet with Three.js. 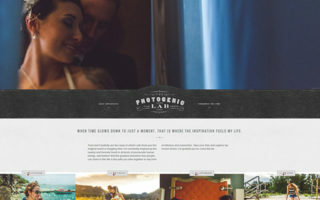 By the last chapter you’ll feel very comfortable using it for real 3D web projects. Interactive Computer Graphics is an incredibly detailed and lengthy introduction to WebGL for developers. 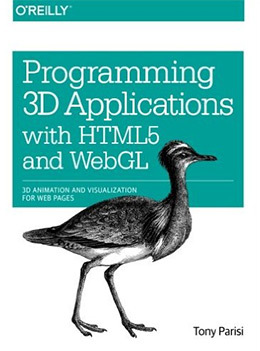 Currently in its 7th edition, this book acts like a college textbook for anyone hoping to build 3D on the web. The goal of each chapter is to explain real programming techniques built on top of the WebGL API. There are plenty of exercises and they’re all meant to help you learn the different workflows of 3D WebGL projects. Let me say this book is massive. It’s almost 800 pages long and the writing style does feel very much like a textbook. Because of this writing style I can’t recommend it to everyone. But the exercises in this book are detailed, regimented, and they cover almost every single topic you’d want to know about 3D graphics in the browser. I would only recommend this to serious developers who want a textbook structure and real programming tips for WebGL development. The book places a big focus on general VR which is a big emerging technology. If you’re hoping to get in on the ground floor then this book will teach you everything you need to know & a whole lot more. Once you get to the WebGL chapter you’ll already know how to design for VR tech. But you’ll dive deeper into an experimental project called WebVR, a free open source JS library for building Virtual Reality on the web. I haven’t done much with WebVR but from what I’ve seen it’s really cool. Like really damn cool. And I’m surprised how detailed the tutorials are in this book as they move through WebGL/JS to cover the WebVR API. I know very few people reading this post will be looking to use WebGL in virtual reality. But for anyone who is curious I would give this book an A+ in content, organization, and writing style. And best of all you don’t need prior experience with coding to pick this up and jump right in. Every site running WebGL is actually running a version of OpenGL with certain updated features. But you can learn a lot by working on the OpenGL library since it’s dense and widespread enough for professional use. 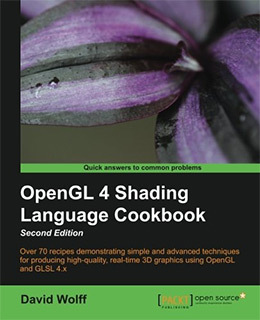 In the OpenGL 4 Shading Language Cookbook you’ll find custom recipes for building OpenGL graphics in 2D or 3D platforms. This book has 70+ recipes covering geometric shapes, volumes, shading, and custom rendering for any platform. You’ll also learn about GLSL 4 recipes for subroutines and debugging which can be useful during development. This is a pretty thick book totaling 400 pages of solutions and custom recipes for any occasion. I can’t directly recommend this for WebGL developers but it’s really useful if you want to move beyond the web with OpenGL. The recipes are super easy to follow and the book’s structure makes it easy to jump around. 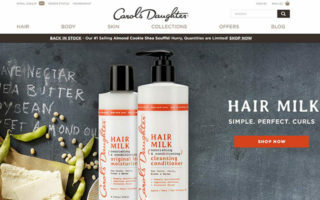 There’s a seemingly unlimited amount of potential with web graphics in the modern era. Browsers are constantly improving support and new features/libraries come out every year with extra features and better performance. If you’re a complete beginner to the WebGL API then you should start with either WebGL: Up and Running which offers a broader intro, or the 3D-oriented title WebGL Beginner’s Guide. Both are easy to read and perfect for newbies with no prior experience. 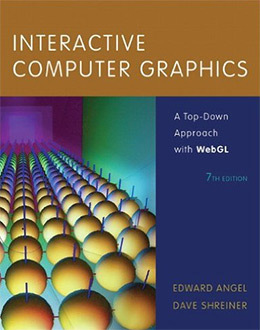 But regardless of your current skills I guarantee there’s at least one book here to help you build the next web game, create interactive charts, or even build WebGL graphics on virtual reality.